The Fowler Law Firm, P.A. - Key West, Florida Family, Criminal, Mediation & Appellate Attorneys | The Fowler Law Firm, P.A. Our goal is to provide the best legal representation for you and your family. Our hard work and dedication to our clients is evident in our firm’s AV® Preeminent™ Peer Review Rated by Martindale-Hubbell® listing, the highest recognition possible in the legal industry, for its professionalism and ethics. We thoroughly analyze your case, clearly discuss our legal strategies with you and effectively resolve your problems so you can focus on getting your life back on track. Whatever your issue, you can be sure your case is handled skillfully and efficiently, and with respect and care. We are compassionate attorneys who assertively fight for your rights. Call The Fowler Law Firm, P.A. at (305) 294-2103 or contact the firm online to schedule your consultation. The Fowler Law Firm, P.A. 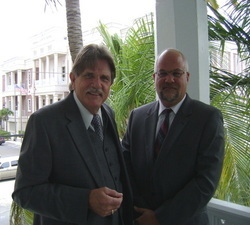 serves clients in Key West and throughout the state of Florida. The Fowler Law Firm, P.A.